SpaceX’s swanky new crew capsule has returned to Earth, ending its first test flight with an old-fashioned splashdown. 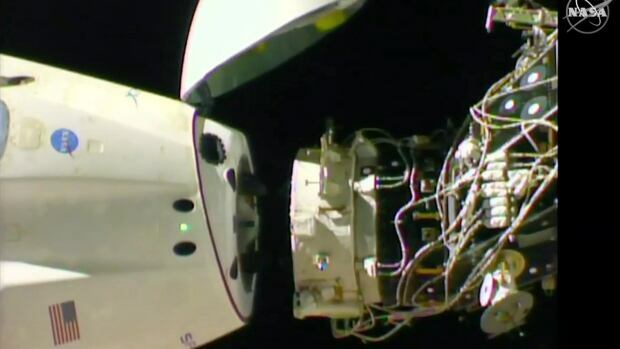 The Dragon undocked from the International Space Station early Friday. Six hours later, the capsule carrying a test dummy named Ripley plopped into the Atlantic off the Florida coast. Saturday’s launch and Sunday’s docking were spot on. Last Sunday, Canadian Space Agency astronaut David Saint-Jacques was the first to enter the Dragon when it arrived and the last to leave. He found the capsule “very slick” and called it business class. NASA astronauts have been stuck riding Russian rockets since space shuttles retired eight years ago. NASA is counting on SpaceX and Boeing to start launching astronauts this year. SpaceX is shooting for summer.